Zoe’s Kitchen has done it again! Remember where Sushi Zushi used to be off Oak Lawn? The geniuses at Zoe’s hopped on the revival of that shopping center and happily opened their 150th location (the 39th in Texas) last week and let me just tell you, it is my favorite location to date. 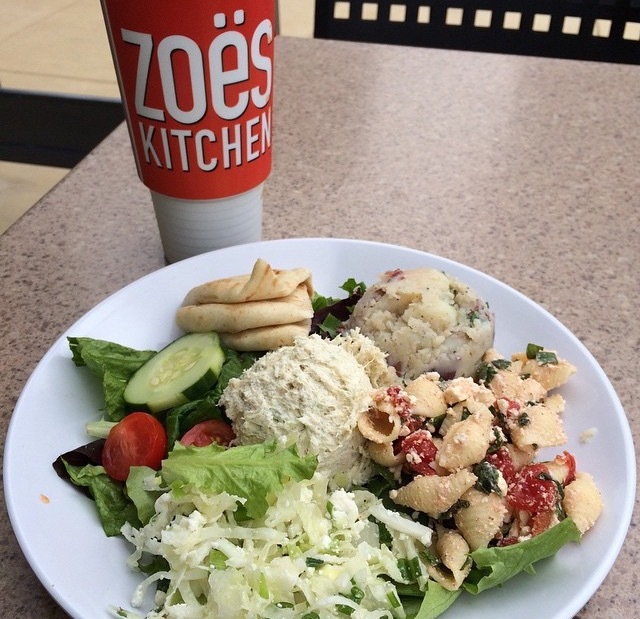 In the back corner of the center with a sprawling lawn in front, Zoe’s Kitchen sits like an open invitation to the neighborhood to come and enjoy some great food. Sure, the interior is similar to the other locations and it provides the same yummy dishes that will leave you coming back for more but there is just something different about this spot. It is somewhere where moms who are lunching with their kids will enjoy, business meetings are sure to take place and not to mention, I will be parking my tushie here to do some work on my laptop. 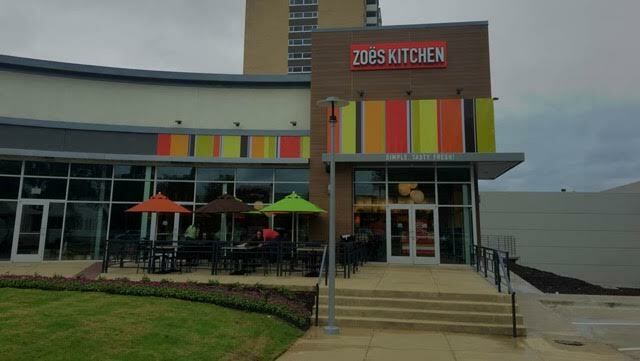 If you haven’t been to this special 150th location located at 3878 Oak Lawn Avenue Suite 314 in Dallas or haven’t been to a Zoe’s Kitchen in general, WHAT ARE YOU WAITING FOR?!? The braised white beans are life changing, the basil hummus is lick-the-bowl-clean delicious and my personal fave, the salad sampler (pictured) will leave you happy without the guilt!